1) Put the flour in a bowl with a well in the middle, add eggs and mix. Do you like making pancakes? 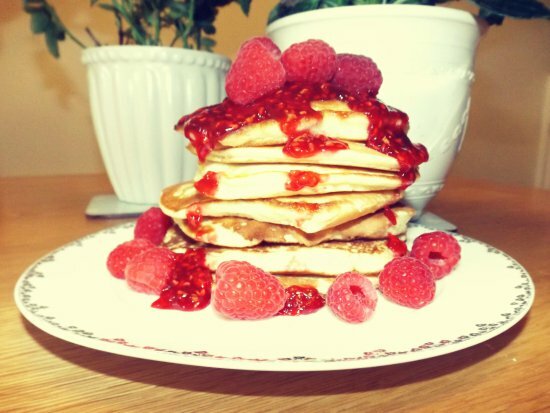 These pancakes look so yummy! ;) Thanks for sharing Rosanna! Mmm yum looks so good! Yummy!!! I'll try to make it Rosanna! Why did I have to find this post on a detox?! Yummy, perfect for Saturday morning. Yes I am so making this tomorrow for breakfast!! delicious!! thanks for sharing dear. It looks so good! I love strawberries too! OK STOP! My mouth is literally watering.. I must try these! I love a good plate of pancakes for breakfast! I usually eat them with bananas because strawberries, blueberries and the likes are too expensive where I live, but ahhh, I can only imagine how good it must be with strawberries! Wow, this is a perfect recipe, my daughter will surely this! Thank you for sharing your recipe! It sound delicious! I love pancakes! Thanks for this recipe! I've never made actual pancakes since we usually eat crepes here but this looks and sounds fantastic!